A bailiff or enforcement agent is someone who has been authorised by the council to visit your home in order to collect any owed debts, and is deployed when liable residents fall behind on their council tax payments. People are often confused about the power that these bailiffs hold, and this is where a service like Council Tax Advisors is so essential. With reliable and trustworthy bailiff advice, Council Tax Advisors can help households deal with all of their council tax and bailiff-related issues. So what are the rules for these agents, and what are they or aren’t they allowed to do? Should I let a bailiff/enforcement agent in? When a bailiff visits your home, it is not always appropriate to let them in. The idea that bailiffs and enforcement agents have unlimited authority and that you must always do as they say has been born out of fear and rumour but, with the right bailiff advice, everyone can be a little more savvy about the rules regarding what bailiffs’ powers. For example, they aren’t allowed to force their way into your home and must be invited in by you but, if you do allow them to enter, they may begin claiming your possessions to offset the debt. What do I do if a bailiff/enforcement agent has entered my home? Once you have granted a bailiff peaceful entry once, they are permitted to re-enter when they return, so it is important to consider this decision carefully. If you do not wish an enforcement agent to enter, then you should bear this mind before opening the door to them. Even then, however, bailiffs can still take things from outside of your home, such as your car. What do I do if a bailiff/enforcement agent calls? Don’t feel you have to open the door to a bailiff, as you can always communicate with them through a chained door, a window or even the letterbox. This may sound extreme but, as much of our bailiff advice will tell you, it’s important to protect yourself first and foremost. 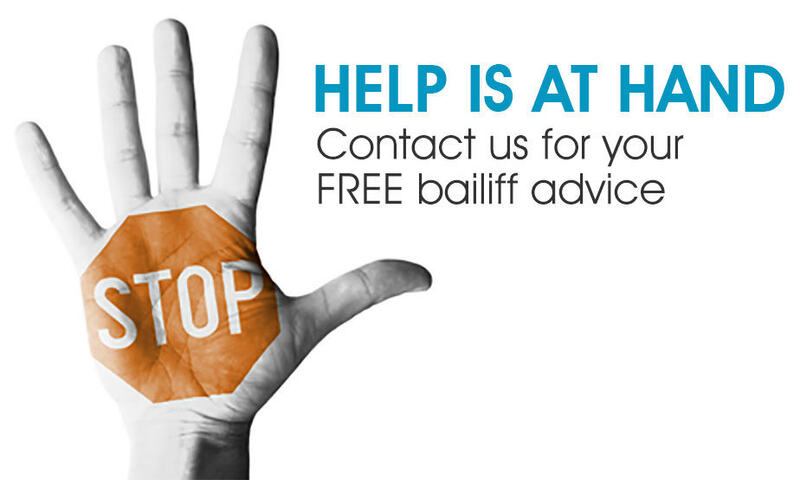 As long as you have sought bailiff advice on anything you are unsure of, then a working understanding of the rules and restrictions will help you determine the best course of action. When can bailiffs/enforcement agents force entry? Strictly speaking, bailiffs are never allowed to force their way into your home, but there are some instances in which the “reasonable force” rule applies. This includes when they have been given a court order or when they have been granted peaceful entry by you on a previous occasion, but this still stops them from going to extremes such as pushing past you or breaking a window etc. Many people are confused about the difference between bailiffs and enforcement agents, but the truth is that they’re essentially the same thing. In a recent review of the rules for bailiffs, they were renamed ‘enforcement agents’ and given a more streamlined set of regulations to abide by. These changes, however, were not limited to what they can and can’t do when visiting your home, but also include new fees that can be applied at various stages of the process. Previously, when bailiffs took things from your home, they were allowed to apply a “levy charge” as well as a “walking possession agreement”, which must be signed by you before they are allowed to hire a van, bring it to your home and subsequently charge you for it. Old bailiff fees were considered too confusing by many, with many seeking bailiff advice from Council Tax Advisors just to clarify what it was they were being charged for, but new rules have made things a little easier to understand. £75 will be charged at the moment your case is passed from the local Authority to the bailiff or enforcement agent. £235 is charged when bailiffs first visit the premises, with an additional 7.5% of debts over £1,500 also included. £110 is charged when a bailiff begins to remove items from your home or prepare them for sale, with 7.5% of debts over 1,500 again applied. In addition to the new fees, changes included stricter rules on when bailiffs could visit homes – between the hours of 6am and 9pm and not when only children or vulnerable adults are at home – and have stipulated that all enforcement agents must undergo mandatory training. One of the biggest changes, however, is the rule that seven days notice must be given before bailiffs visit the home, removing much of the anxiety and worry for families struggling with debt. If the bailiffs notify you that they are going to visit your home contact Council tax Advisors and we can help you to make an affordable repayment plan. For more information on fees and charges, contact Council Tax Advisors for further bailiff advice today. There are certain goods that should not be seized by bailiffs, and it is important to seek bailiff advice on what these are. They can only take things that belong to the debtor, and these items must not be essential to either day-to-day living or work. If some items belong to a third party, then you will need to provide proof of this. Though restrictions on what bailiffs can take from your home to be sold prevent them from impacting your life too much, it is still a very stressful experience for many to see their belongings claimed and further advice on how to avoid this can be found within the bailiff advice provided by Council Tax Advisors. For example, you may pay the amount owed when a bailiff visits your home, making it unnecessary for them to take anything once debts are settled. If there are insufficient goods to cover your debts, then bailiffs may leave to return at a later date. They have 12 months from when the enforcement notice was issued to take control of your belongings. Similarly, they should only take enough items to cover debts after they are sold, and not more. If bailiffs have already entered and you subsequently hide items or take them to another location, then this is an offence. So how can you prevent bailiffs from coming in the first place? The first thing to do is to arrange repayment of your debts before bailiff action is taken and, if bailiffs have not yet visited or listed any of your household goods, then you should arrange a repayment plan with your council. Council Tax Advisors can help with this, as we will liaise with local councils to organise reasonable, affordable repayment plans for those most vulnerable, low-income households. Drawing up an outline of your budget can help determine what is reasonable and, if you choose to organise payments with visiting bailiffs, then it is essential that you get a receipt for all money handed over. Once you begin to make regular payments, you may ask the council for the account to be taken from the bailiffs, ending the process. If the bailiffs are unable to collect the debt and it goes back to the council they will normally write to you to tell you that they will be taking committal action to recover the debt. If you are unable to make the payment in full contact he council or council tax advisors to make an affordable offer of repayment. If you ignore the letter the council may issue a committal summons, adding costs to the bill. As soon as the debt is handed back, you should contact your council to confirm the same repayments you have been paying and, if they refuse your offer, you will need to attend the committal summons hearing. Take proof of payments and letters written to bailiffs and the council to this hearing. Bailiffs have a set of rules to abide by and, if you believe that a bailiff has acted wrongly at any point during the process, then you can write a letter to both the bailiff company and your local council they are acting on behalf of. Specific details of your complaint with dates and events should be included in this, and you should make sure to keep a copy of this correspondence for your own records. If you do not receive a response to this letter, then send it again but, if nothing is done then you should contact Council Tax Advisors for further bailiff advice on who to speak to regarding your complaint. It is very important that residents experiencing problems with bailiffs and council tax debt contact a reliable service like ours as, by taking the wrong action or not equipping yourself with the important information, things can escalate very quickly. If bailiffs end up visiting your property, for example, fees can build up and add to existing debts. 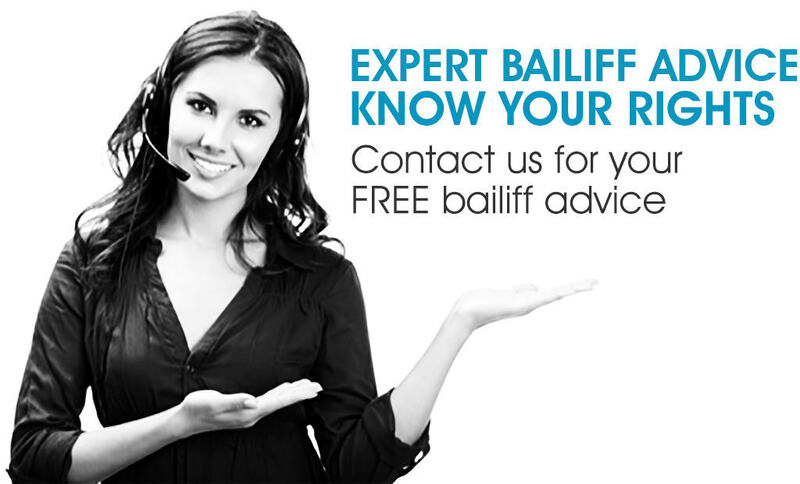 For the most reliable, trustworthy bailiff advice and practical help with bailiffs, contact Council Tax Advisors and talk to our team of experts today.